Before putting on your chosen mask or costume to celebrate Halloween, try to contemplate first if you have been wearing an internal one all the while. Are you the type whose been wearing a mask or costume of insulation against rejection and sorrow? Are you pretending to be someone you are not because you worry if people will like you for YOU? If you are this person, then let me remind you that you need not observe tonight’s celebration since you are already a walking Halloween! Let me advise you that instead of adding another freaking mask or costume to an already existing one, I suppose the best way for you to celebrate a great Halloween is to take off this internal mask or costume and start being simply just yourself. Not just this Halloween but every day for the rest of your life. Be your own melodic song! 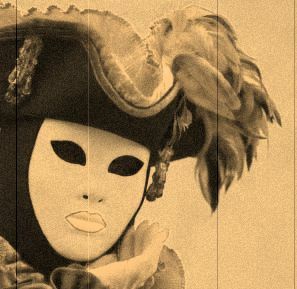 To have faith in yourself, to convey your own individuality, to pursue your own roaring style, to relax and loosen up, to be sincere and not measure yourself by the views and estimation of others – these are the steps to removing your mask or costume. For sure, you will have a happier and more fulfilling journey through life. Happy Halloween everyone!! !